Home About Universe Astronomy Astronomy Picture of The Day Big Bang Theory Dark Matter Galaxies Gallery Info Scientists Search for life Space Exploration Stars Does This Discovery Prove There's Another Universe? 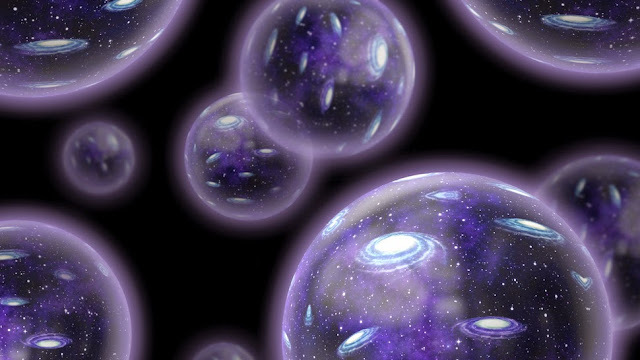 Does This Discovery Prove There's Another Universe? Our universe has a strange cold spot that is baffling researchers. Is it an indication that there's another universe? In the hunt for better understanding of the creation of the universe, scientists look out into the farthest recognizable reaches possible. A weak afterglow known as the Cosmic Microwave Background (CMB) is normally thought to be the echo of the Big Bang over 14 billion years ago. This distant signal shows very minor temperature differences known as anisotropies. Astronomers have been able to measure these deviations with increasing accuracy as their equipment become more and more sensitive. Measuring these little CMB differences requires complex statistical algorithms, so it's quite tough for researchers to know for sure whether variances in the CMB are actual or just computational errors. This is why the infamous CMB "Cold Spot" could be one of the best mind-blowing structures ever revealed in the cosmos, or just ... a typo essentially. It was first discovered by the NASA WMAP mission: a cold blob in southern constellation Eridinus. Last year, there was some discussion over whether or not a South Pole telescope had spotted gravitational waves in the CMB. Although the possibility of this has been called into debate by European Planck Space Telescope, this doesn't mean that gravitational waves are not real (it just means scientists have to keep searching). In 2013, Planck also spotted the cold spot, ruling out instrumental error as a promising cause of the anomaly. There are numerous theories about what this cold spot might be, but whatsoever it may be one thing is certain: it is gigantic! It covers a full 10 degrees of sky, which would make it the largest astronomical structure in the entire known universe. Some of the more thrilling (and creative) descriptions propose that the cold spot is essentially the indication of another universe pushing up against our own. This would support the multiverse hypothesis-a model of actuality where our universe is just one of uncountable bubbles moving in a multi-universe soup. On the other hand, it might just be an artifact of how astrophysicists correct for unnecessary bases of microwaves in the universe. What do you think of the likelihood that we may exist in one of countless number of universes? Discuss your opinions about the multiverse hypotheses (especially about this cold spot) and questions in the comments section below.